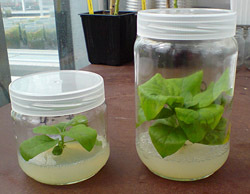 This are jars which can be used for tissue culture, washed and reused for years. They stand autoclaving and are robust. You have to order quite some, but they are not expensive and worth the money.